Pressed with certified organic oils and made with low heavy metal minerals we are offering our most popular holiday colors packaged together for the first time. 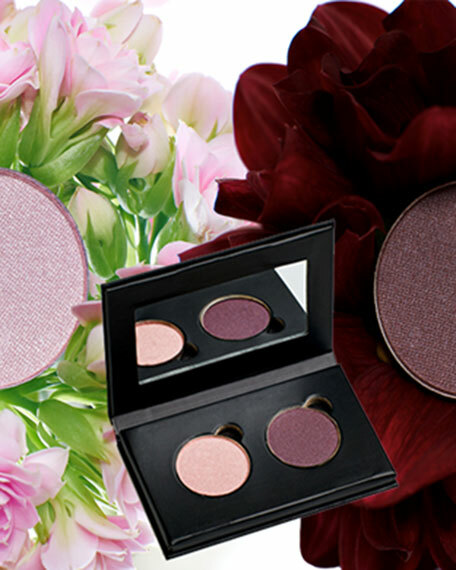 Rebekha: a light sparkly pink paired with award winning Gittea sultry dark deep plum. 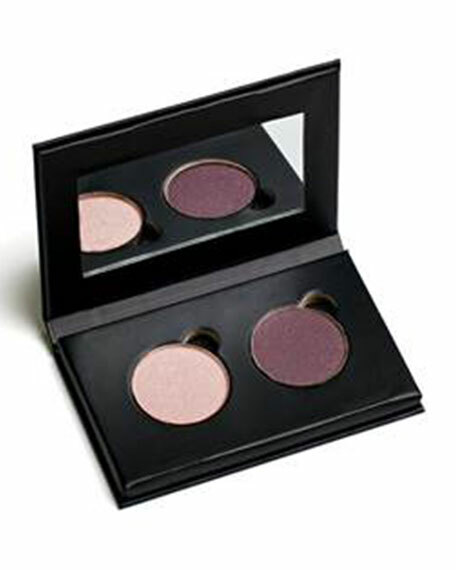 With a Sappho eyeshadow brush glide color across your lid or eye contour for long lasting organic coverage.